Welcome to the last trading day of the week, homies. Get ’em last-minute pips with these hot setups on USD/CHD and AUD/JPY! After bouncing from the ascending triangle support, it looks like USD/CHF is crawling its way back up to the 1.0050 handle. Can 1.0050 stand another retest? 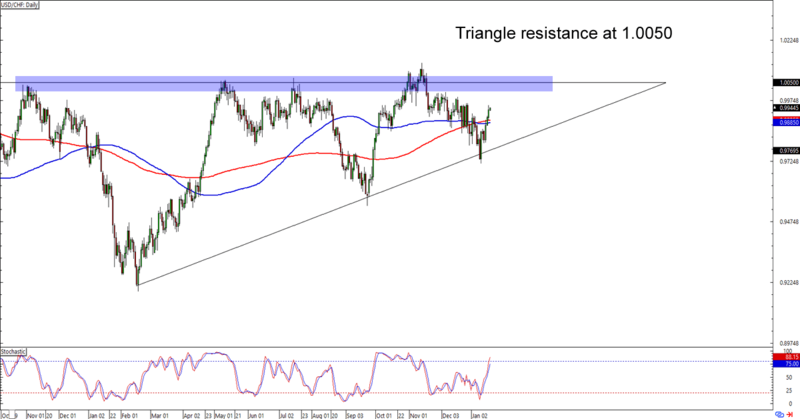 Or will the bulls finally have enough firepower to break through the triangle resistance? Another bounce from 1.0050 could drag USD/CHF closer to the .9850 trend line support area. On the other hand, a break above the level could translate to a potential 800-pip move for the dollar. The pair is still a few pips away from actually retesting the resistance, though, so y’all still have time to draft your trading plans. Good luck and good trading this setup! Don’t look now, but AUD/JPY is hitting a major area of interest! I’m talking about the 79.00 psychological handle, yo! The hesitation around the area isn’t surprising considering that it’s right smack at a 61.8% Fib retracement AND it lines up with a broken range support from a while back. 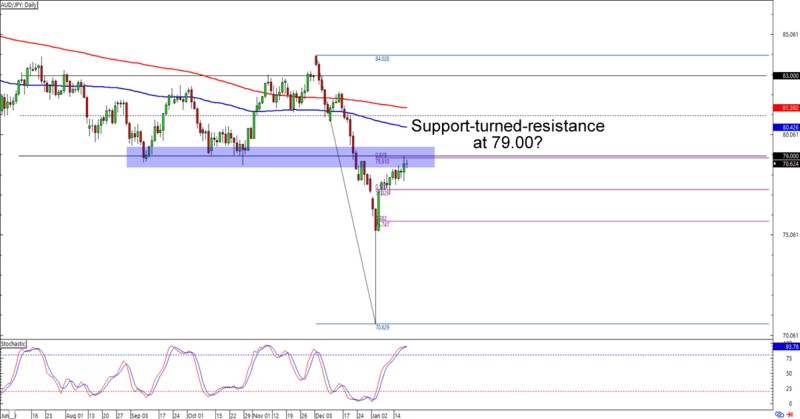 Will the bulls push the Aussie back up to the 83.00 previous range resistance? Or will the bears jump in on the retracement and force another leg lower for the comdoll? Keep close tabs on this one, folks!